Vintage Motorcycle Enthusiasts A forum for enthusiasts of vintage, classic, antique motorcycles and restoration projects. 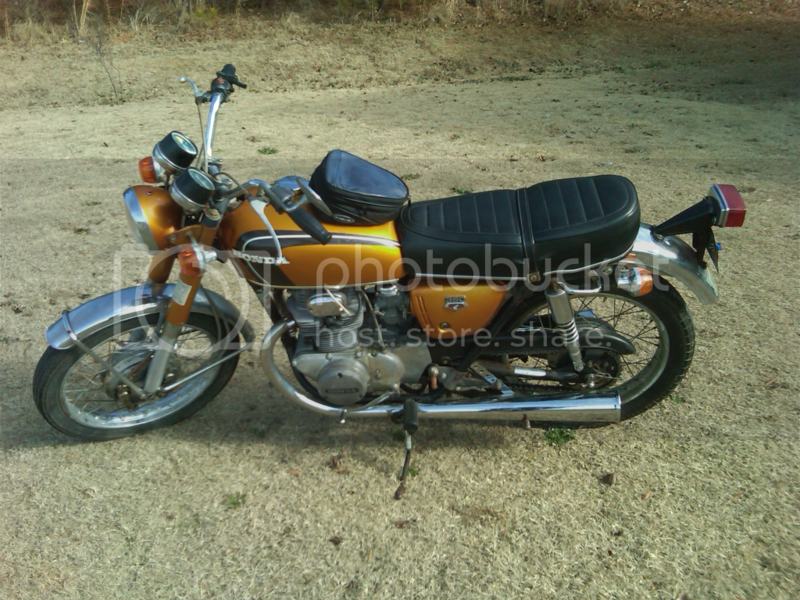 So far I\'m having fun trying to restore this little CB350 I picked up last year. \r\nI\'ts alot of work but It gives me something to do and is cheaper then riding every weekend. \r\nIt is in running condition now, and I registed it today so she\'s legal, but there is still alot of work to do before spring. The most urgent of which are new wheel bearings, rim straps, tubes, and tires. Also judging from todays riding impresion there is probably no oil left in those forks, so a little work there too. Very nice! You are doing a great job. Make sure you replace the old brake shoes...don\'t go by wear on a vintage bike, the old shoes can delaminate and kill you. 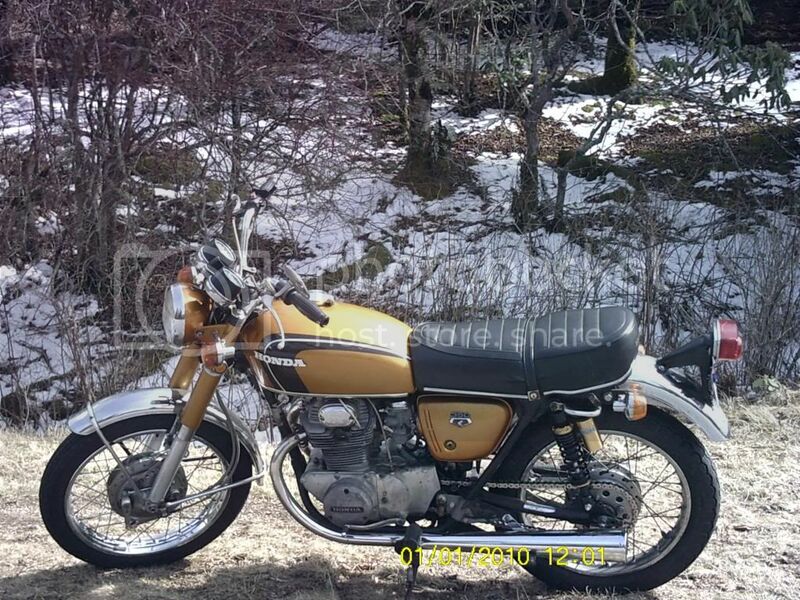 \r\nGood advice and something I will keep in mind with my next vintage bike. This one was sold last spring. \r\nthis was the final product before selling her. Good advice and something I will keep in mind with my next vintage bike. This one was sold last spring. this was the final product before selling her.